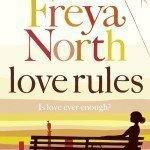 We were very fortunate to do a Q&A with Freya North and thought to ask her about her new book, The Turning Point, the process of being an author and her top advice if this is a path you’ve considered yourself. 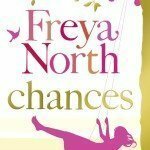 Over on our competitions page we also have three copies of The Way Back Home which has just been released in paperback- whether you’re discovering Freya for the first time or are an avid reader, we know this is something you’ll enjoy. 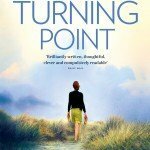 Your new book, The Turning Point, has just been published, are you still as excited with the 14th one as you were with your first? The thrill of seeing my book in print – and best of all in the hands of complete strangers – just hasn’t lessened over the 19 years I’ve been published. The Turning Point was such an emotional journey for me to research and write, it’s now terrifically exciting to be able to share the story with my readers. The Turning Point is partly set in Pemberton, British Columbia, and it includes a lot of Lil’wat and Squamish cultural references – how do you research those parts of your books? 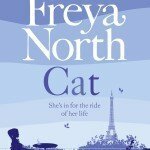 Canada and the Tour de France for Cat, trees, massage therapy, sculpture… do you give your characters passions and jobs you are particularly interested in? Yes, I’m genuinely a curious person – and my interest (and nosiness) is easily sparked by the tiniest scrap of info. I am meticulous about research, I wouldn’t ever write about a topic or a place without having utterly immersed myself in it. Researching The Turning Point enabled me to travel to Canada – and it was while I was there that I discovered just how central to Canadian life, culture and history their First Nations peoples are. It was a real honour that the Lil’wat community embraced my novel. I love Scott’s career as a musician who writes score for movies – and was lucky enough to go behind the scenes at Abbey Road Studios. I drew directly upon my own experiences as an author and the perils of Writer’s Block to inform the character of Frankie. One of my characters is epileptic and I conducted numerous interviews with sufferers and their families. Readers won’t believe in a character unless the author has fully formed them. Each book includes a lot of characters, many of them we get to know very closely and you seem to understand – or describe – their feelings very well, Oliver in Chances for example. How do you get into the head of these people – even men? I actually don’t know. I never feel I’m a puppeteer – more that I’m the PA to my characters – they bring their stories to me and I take dictation… 115,000 words later and the book is done. People often say adults can’t read YA literature, your books are “chick lit” and crime or thrillers written by male authors are too cruel or hard for women readers. Who do you think your books are for? Do you like the way books are categorised in book shops for example? I hate categorization. Often, dumb umbrella terms are actually used in a pejorative way – it’s usually narky critics who invent them. 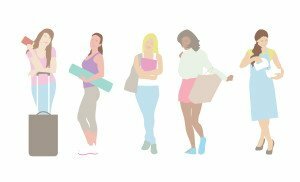 I’ve never written ‘chick lit’ – I don’t think I’ve ever mentioned the words ‘calories’ or ‘chardonnay’ in my novels. If I had to sum up the main ‘feel’ and themes of my 14 novels, I’d say they were domestic dramas. Over the course of your fourteen novels, what do you think has changed for you as an author? How has your writing and editing process changed or evolved? Well, I certainly think that as my career has progressed – coinciding with my own life changes – the emotional depth to my stories has become really important. Apart from that, my process is pretty similar – I believe in the worlds about which I write and I genuinely feel deep bonds with my characters. I finished writing The Turning Point in the new year – yet still I think about Frankie and Scott every day. What do you tell aspiring authors when they ask you how to get started? What would you say to our readers with regards to following their passions?